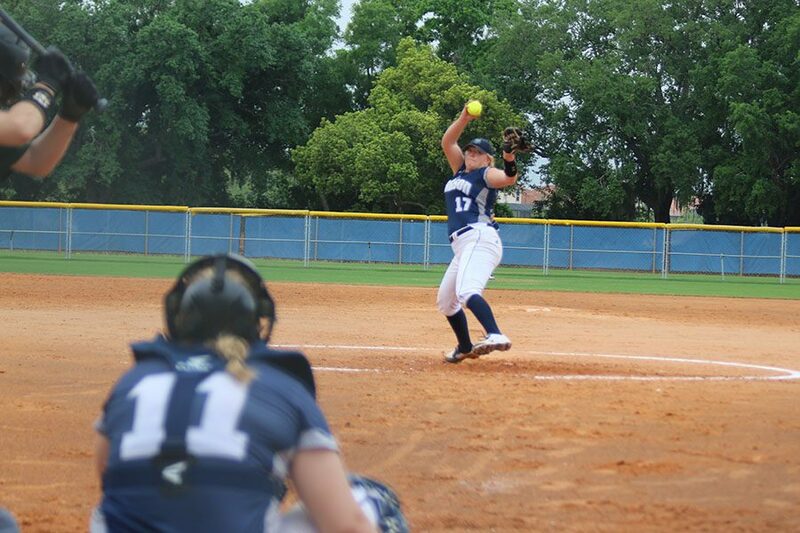 A spring break trip to Florida provided the Madison College softball team the chance to play 14 games in eight days and face some of the other top-ranked teams in its division. 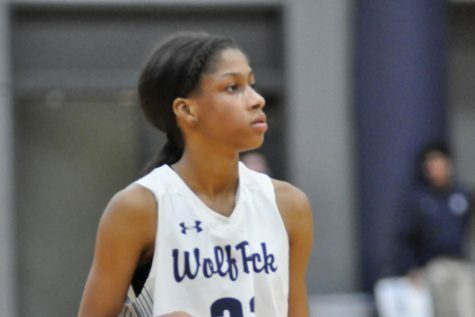 The WolfPack went 10-4 on the trip to improve their overall record to 14-6, although they fell to both of the ranked NJCAA Division II opponents they faced. Madison College was ranked 12th in the March 19 poll, but fell to 17th-ranked Cuyahogoa Community College, 8-1, and seventh-ranked Iowa Central Community College, 8-0. Even if they didn’t fare as well as they hoped in those marque games, the WolfPack had plenty of success throughout the trip. Madison College opened the trip with a 5-0 win over Mott Community College on March 15. Dany Gumz and Maegan Brookins both had two hits to lead the team, while Jordan Martin pitched a one-hit shutout. An 8-1 loss to Cuyahoga Community College followed later in the day, with two three-run innings giving Cuyahoga all the runs it would need. Brookins and Gumz again had two hits, but the team was held to five hits. The next two days of the trip saw Madison College dominate its four opponents, outscoring them by a combined total of 37 to 8. Madison College beat Moraine Valley Community College, 9-1, on March 16. Irene Tomasovic led the team with three hits, followed by Brookins, Paige Hintz and Hannah Grahl each with two. Hintz homered and had three RBIs in the game. Martin earned the win, allowing just one hit and one run in five innings pitched. In the second game that day, Madison College outscored Marian University JV 12-2 in five innings. Olivia Bancroft-Hart and Kylie Endres had three hits in the game, and the WolfPack took advantage of six walks. Cathryn Hiller pitched the win, allowing two runs on five hits. Another game against a 4-year college JV squad saw Madison College post an easy win, beating the Anderson University JV, 7-1, on March 17. Montana Platts had two hits and four RBIs, while Bancroft-Hart added two hits. Brianna Farrington pitched the win, allowing one run on five hits. Madison College followed up that game by beating Iowa Lakes Community College, 9-4, later in the day. The WolfPack rallied with three runs in the fifth and four runs in the seventh. Gumz was 4 for 4 with two home runs to lead the WolfPack offense, while Nicole Ferch had three hits. Martin got the win in relief, giving up just one hit in three innings pitched. 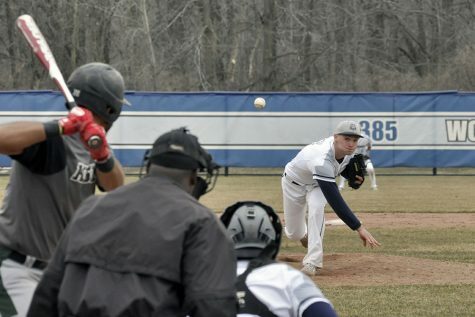 After a day off, Madison College suffered a pair of setbacks on March 19, falling to Onondaga Community College, 8-5, and Waubonsee Community College, 7-3. Madison College led most of the game against Onondaga before surrendering seven runs in the final two innings. Tomasovic and Platts both had two hits to lead the WolfPack in the game. Another late rally gave Waubonsee its victory as well, with the Chiefs scoring two runs in the bottom of the fifth and bottom of the sixth. Tomasovic led Madison College with three hits, but no one else had more than one. Madison College dominated a doubleheader with Rainy River Community College on March 20, winning 15-1 and 13-1. In the first game, Madison College pounded out 10 hits, including two by Gumz, and took advantage of eight walks. Farrington pitched the win, giving up one run on two hits. The second game saw Tristan Scholler and Morgan Dercola get two hits, with Scholler hitting a home run. Fink earned the win allowing just one run on three hits. The next day started with a slugfest, with Madison College defeating Onondaga, 12-8, on March 21. Madison College had 21 hits in the game. Montana Platts had four hits, while Brookins, Gumz and Ferch each had three. Gumz had a home run and a triple in the game. Runs were more scarce in the next game, as Madison College beat Bethel University JV, 4-0. Tomasovic had two hits and three RBIs to lead the WolfPack, while Cathryn Hiller pitched a two-hit shutout. The final day of the trip opened with an 8-0 loss to Iowa Central Community College on March 22. The game was within reach until Iowa Central scored four runs in the top of the sixth inning. Madison College was held to three hits in the game, including two by Tomasovic. Madison College wrapped up the trip with a 9-1 victory over Elmhurst College JV. The WolfPack only had four hits in the game, but took advantage of eight walks and five errors by Elmhurst. Farrington pitched the win, allowing one run on four hits and striking out seven. Next up for the WolfPack is a March 30 doubleheader at Highland Community College in Freeport, Ill.